Experience new dimensions of driving pleasure with Mazda CX-5. Completely redesigned inside and out, our latest mid-size SUV is as comfortable and rewarding for passengers as it is to drive. 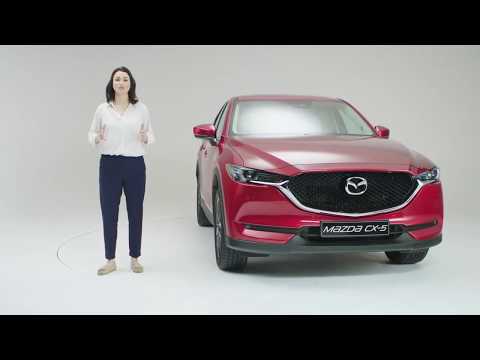 Designed and built to celebrate driving, Mazda CX-5 gives everyone on board a powerful feeling of Jinba Ittai, that feeling of oneness with the car forming an undeniable connection between car and driver. With KODO Design evolution and unmatched craftsmanship, the beautiful exterior is bold and purposeful in the vivid new Soul Red Crystal Metallic colour, while the spacious, human-centric cabin is quiet, finely crafted and superbly comfortable for you and every passenger. Perfect for long, entertaining trips with family and friends. Featuring advanced i-ACTIVSENSE safety technology, everyone can relax and enjoy the drive. Need more information? Download and view the latest Mazda CX-5 PDF brochure. The Mazda CX-5 is available now from £25,595 at Underwoods Mazda - Main Dealer in Colchester, Essex. All-new Mazda CX-5’s KODO Design conveys beauty and energy. From the front to the rear, the styling creates the exciting impression of a powerful forward momentum, of pure agility and speed. To highlight the SUV’s bold and sensual curves, Mazda developed Soul Red Crystal Metallic paint, with our unique high-quality painting technology TAKUMI-NURI, designed to express exceptional texture, creating a colour so vivid and rich in depth it has to be seen to be believed. The exquisite interior is built around the driver and passenger to ensure ultimate comfort, a feeling of openness, integration and business-class comfort for all. Fine craftsmanship is everywhere. Built around the driver with ergonomic controls and a new steering wheel, the spacious, luxurious interior is a place you can immerse yourself in with great comfort and feel in complete control. Passengers will immediately relax in the deep seats which can be reclined for long journeys. At Mazda we always start with you and the most natural position for the seat, pedals, controls and steering wheel. When you feel comfortable the Jinba Ittai driving pleasure is enhanced. Passengers will love the drive as much as you do. With improved aerodynamics and insulation to keep out noise, friends and family will find it as comfortable and relaxing in the back as you do behind the wheel. Soul Red Crystal is a new colour that heightens the beautiful forms and textures of KODO Design in the all-new Mazda CX-5. Evolved from our original iconic Soul Red, Soul Red Crystal intensifies the vividness, depth and lustre of the bodywork as it moves between light and shade, created by three coats using our Takumi Nuri technology. Passengers in the rear seats will never feel like they need to be at the front. The new seats have been completely redesigned and are deeper and more figure-hugging for excellent comfort. On long journeys, the seats can be reclined for relaxation. With its low, sleek and well-proportioned shape, the sportiness and sophistication of all-new Mazda CX-5 Sport Nav is enhanced with 19” Gunmetal alloy wheels. All-new Mazda CX-5 provides a driving experience with superior agility and responsiveness that’s rare in SUV’s. Designed and built with our innovative SKYACTIV Technology, delivering outstanding fuel consumption and low CO2 emissions from 132g/km. We’ve also enhanced ride comfort and handling with an improved chassis and our new G-Vectoring Control system, that improves handling and steering for a more connected drive. Featuring our advanced i-ACTIVSENSE safety technologies, all-new Mazda CX-5 delivers enjoyable driving with confidence in all situations. Inbuilt cameras and sensors identify potential hazards at an early stage to minimise risks, and optional on Sport Nav Diesel models is the Safety Pack featuring Adaptive LED headlights, Blind Spot Monitoring, Lane-keep Assist and many more safety innovations to make driving in all conditions a pleasure and protect you and your family.  Integrating control of the engine, transmission, chassis and body G-Vectoring Control is an ingenious system which improves driver confidence, car control and comfort. With the optimum load on each tyre during cornering, the car moves exactly as the driver expects, reducing the need for steering corrections, improving passenger ride comfort due to smoother acceleration forces, which can reduce motion sickness. Mazda's i-ACTIV AWD system gives you better control as you accelerate, turn, brake and deal with slippery road conditions. Just enough torque is sent to the rear wheels to add traction for more grip and deliver a stable, secure driving experience. Using 27 sensors, i-ACTIV All-Wheel Drive works only when you need it and adjusts power 200 times per second to give you the perfect Jinba Ittai feeling. Lighter cars increase driving pleasure and save fuel. The all-new Mazda CX-5’s SKYACTIV-BODY is one of the safest and lightest kerb weights in its class. Enhancements to the suspension, insulation and SKYACTIV-CHASSIS add to a quieter, more refined and comfortable drive. Incorporating our full range of pioneering SKYACTIV Technology this compact SUV provides a truly pleasurable driving experience. Our advanced engine, transmission, chassis and body shell technologies work together for a driving performance that’s refined and fuel-efficient. The chassis gives the steering and handling an agility and responsiveness that’s rare in SUVs. The engine and transmission deliver a dynamic drive with outstanding efficiency, while the Active Torque All-Wheel Drive transfers power to the wheels with most traction. And a body shell that’s light yet strong contributes to first-class safety and excellent aerodynamics. Mazda CX-5 also benefits from significant innovations in suspension, together with advanced sound insulation, resulting in significantly reduced cabin noise. So from city to motorway, you're assured of a comfortable and enjoyable drive - over any distance. Now you can enjoy smoother ride comfort wherever you go. We’ve improved Mazda CX-5’s front and rear suspension to achieve a flat posture control and minimise jolts on uneven road surfaces. You’ll also notice a difference in the handling, where we’ve enhanced both cornering and high speed straight line stability.